The budget for Harry Truman’s presidential inauguration in 1949 was the “most elaborate and expensive Inauguration” to date. Truman’s Inauguration was also the first ceremony to be broadcasted live on television. Truman is pictured in the cartoon next to a statue of Andrew Jackson, who was President in 1829. Jackson’s Inauguration ceremony was well known for the high number of attendees and the drunken celebrations that ensured afterwards. The preparations for Truman’s inauguration in 1949 however, ensured that the festivities would far surpass the celebrations of Jackson in 1829. 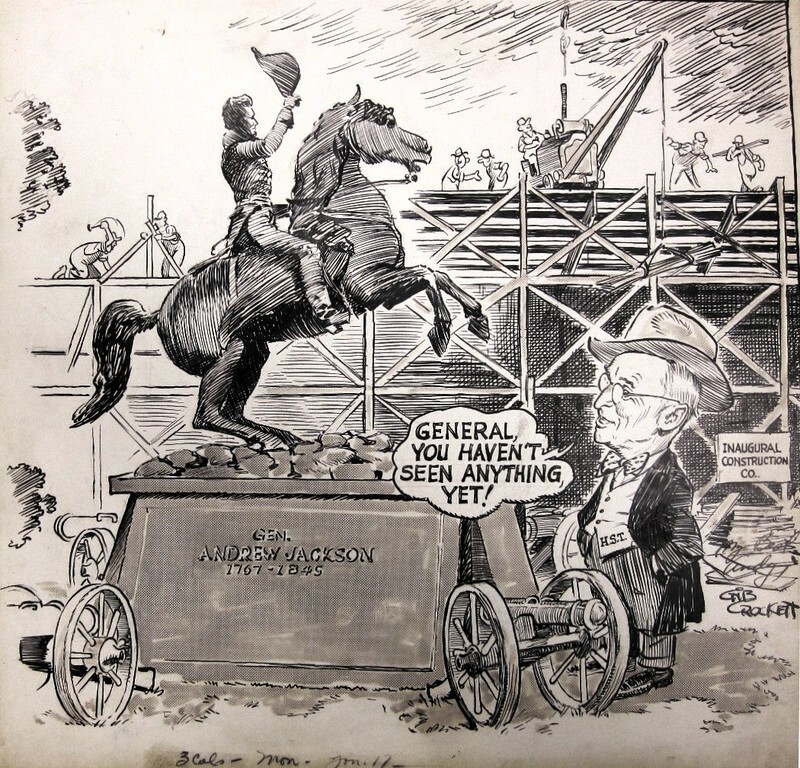 Gib Crockett, “General, You Haven't Seen Anything Yet,” James Monroe Museum Political Cartoons, accessed April 19, 2019, http://jmpolitoons.umwhistory.org/items/show/115.